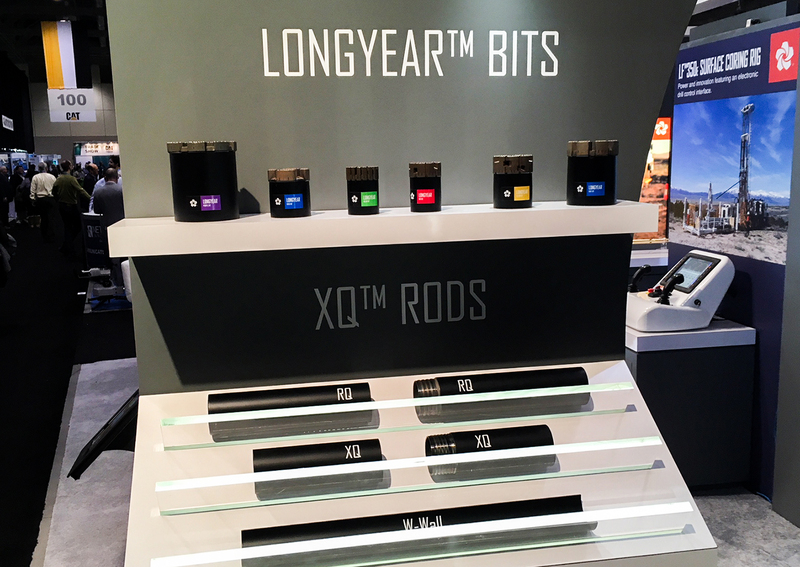 In the booth, the company’s innovative line of Longyear™ diamond coring bits will be on display. SALT LAKE CITY – April 17, 2018 – Boart Longyear will be promoting its latest innovative drilling products, technologies and services at this year’s Expomin tradeshow. Held every two years, Expomin will take place April 23-27, 2018 at the Espacio Riesco Convention Center in Santiago, Chile. Boart Longyear is one of over 1,250 exhibitors that will have a strong presence at the show with the company hosting experts in the booth, located in HALL 1, STAND L-22, to assist customers with their exploration projects. This year is the 15th gathering of Expomin and its popularity has made it the largest mining fair in Latin America. In fact, the international nature of this show attracts over 70,000 attendees during the week and has been shown to represent as many as 35 different countries. 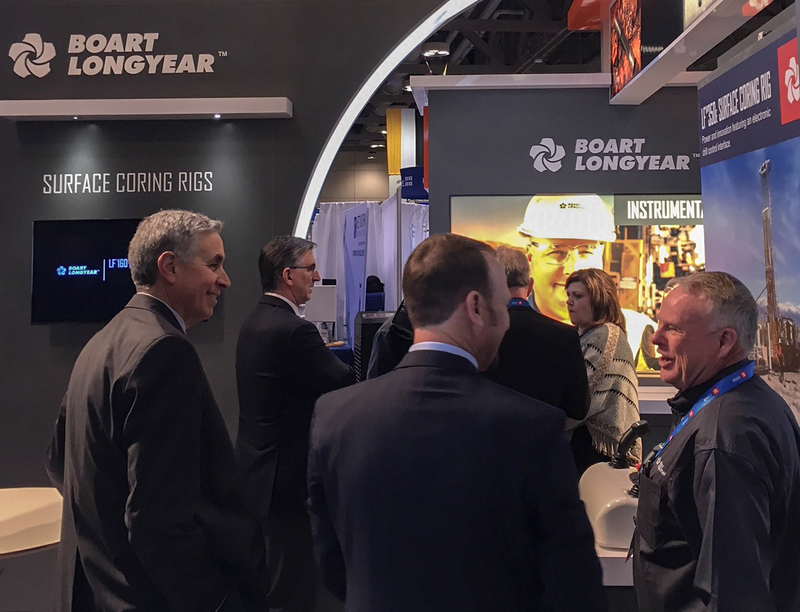 With the theme of the congress focusing on sustainability and productivity, Boart Longyear will be displaying several new products and services that are proving to increase safety, reduce wear, lessen environmental impact, and improve cost effectiveness. In the booth, the company’s innovative line of Longyear™ diamond coring bits will be on display. Engineered to drill faster, last longer, and outperform existing bits technology, Longyear bits improve shift performance and ultimately put more core in the box. Additionally, the new XQ™ wireline coring rod will be featured that has an innovative selfaligning thread start geometry to ensures mating threads engage smoothly, without wedging or jamming. Smooth starting, in combination with case hardening, significantly improves productivity and wear life. Boart Longyear is well known for its safe and reliable drilling rigs, rod handling equipment and performance tooling. In recent years, the company has also introduced its own line of down-hole instrumentation to provide accurate and timely data to geologists and mining companies. During Expomin, Boart Longyear Drilling Services professionals will be on hand to answer questions about the company’s range of drilling service expertise, capabilities and fleet of equipment. This year’s show will continue to provide valuable networking opportunities for mining industry professionals. The new technologies and solutions found at Expomin continue to promote innovation, development and productivity in the mining industry not only in Latin American but also throughout the world. Established in 1890, Boart Longyear is the world’s leading provider of productivity solutions for diamond coring exploration, reverse circulation, large rotary, mine dewatering, oil sands exploration, production and sonic drilling services. The Company also manufactures, markets, and services reliable drill rigs, drill string products, innovative down-hole instrumentation tools, and quality parts. Boart Longyear is headquartered in Salt Lake City, Utah, USA, and listed on the Australian Securities Exchange in Sydney, Australia (ASX:BLY). More information about Boart Longyear can be found at www.boartlongyear.com. To get Boart Longyear news direct, follow us on Twitter, LinkedIn and Facebook.